Profile Headline: Simply put, this is who you are and what you do. Your headline displays in search results next to your thumbnail image, which means it determines whether or not someone clicks on your profile. More than just your job title, write a one-liner that shows how you add value or what makes you stand out. 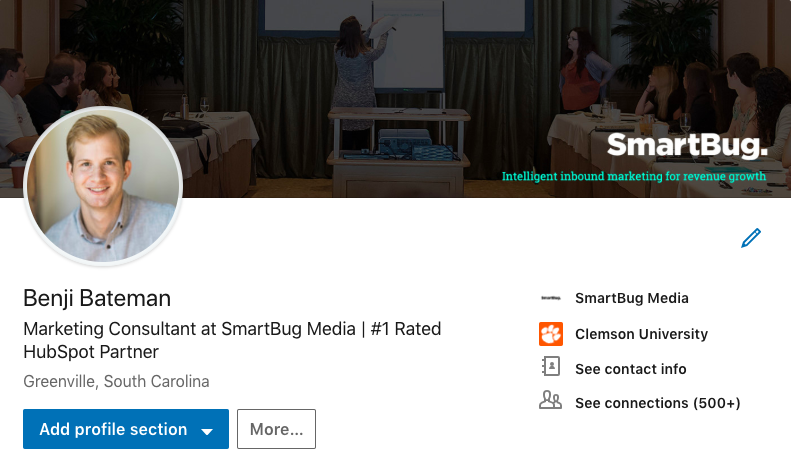 My profile headline says, “Marketing Consultant at SmartBug Media | #1 Rated HubSpot Partner”. Summary: Your LinkedIn summary is the first section visitors will read once they land on your profile, determining whether they keep scrolling or bounce. This is your elevator pitch. Write three to five sentences that make you sound more interesting than the Dos Equis man, then include a call to action with your email address. Keep it short and sweet. Interests: The interests section adds personality by showing people what you care about and what you’re paying attention to. Which thought leaders are you following? Which companies and groups do you have your eye on? (My personal favorite group is my alma-mater, the Clemson University Alumni Association). Engage with Your Audience: One of the biggest appeals of social media is being able to connect with authors, leaders, and even celebrities (like seeing what Steph Curry cooked for dinner last night). As you grow your expertise on LinkedIn, be sure to respond to any comments and acknowledge your fanbase. Be professional, but don’t forget to be personal as well. 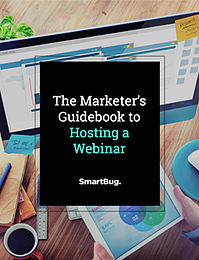 If you’re looking to take a deeper dive into the world of social media, check out our guide, Social Media Feeds, Growth, and Reporting. Benji Bateman Benji Bateman is a Marketing Consultant based out of Redding, CA. 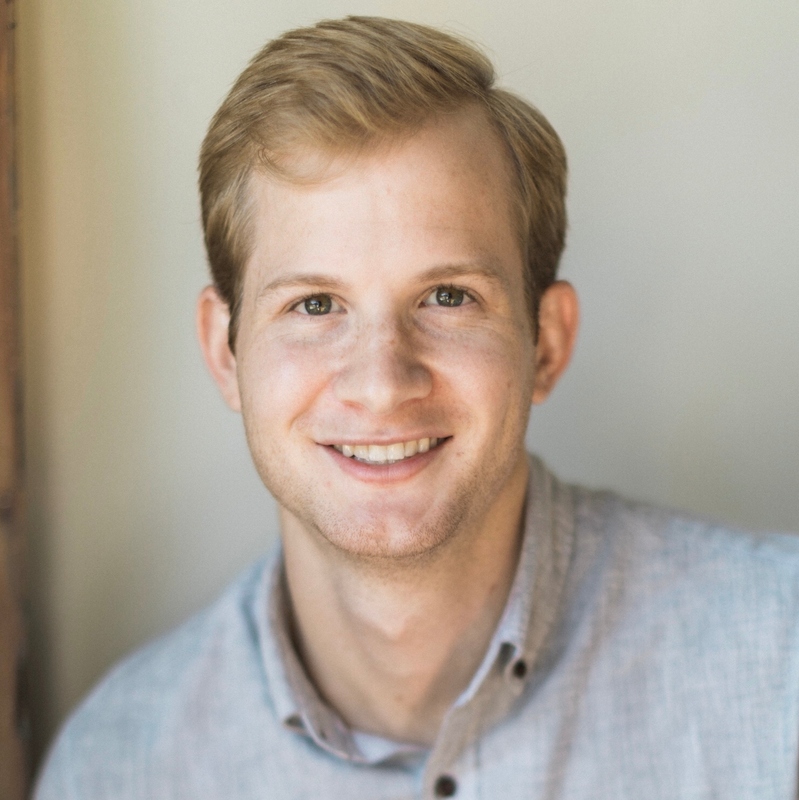 With three years of HubSpot experience, he’s helped 15+ clients grow their digital presence, improve their visitor-to-lead conversion rates, and drive more sales for their organizations. When he's away from his desk, he’s likely watching a Clemson football game, listening to live music, or traveling like a local. Read more articles by Benji Bateman.